The Gallery@ The Civic is to commemorate the 20th anniversary of “Brassed Off” been filmed in Barnsley. This bittersweet gem released in November 1996, is a charming and comedic drama starring Ewan McGregor, Pete Postlethwaite and Tara Fitzgerald. The film highlights when government cutbacks threatens a century old mine. The outcome, closure of the pit the subsequent death of a town. Filmed on location in Grimethorpe and with Barnsley having strong traditional brass band communities, The Gallery@ The Civic is presenting an exhibition in two halves to venerate the occasion. The piece itself, a room-size installation that engulfs floor and walls, is called Perpetual Canon. 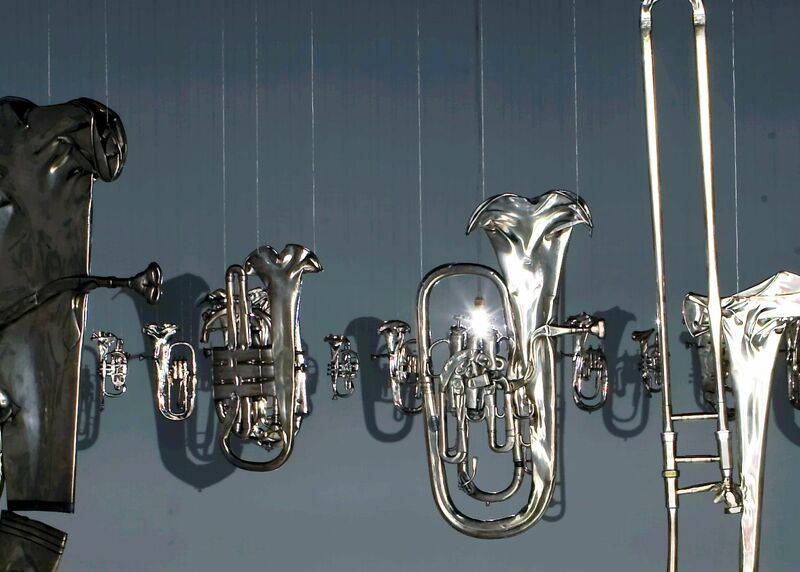 The only light comes from a single light bulb suspended at waist height in the middle of a circle of objects, these are silver plated flattened brass instruments that are suspended. The second side of the gallery is occupied by Turner prize-winning artist Jeremy Deller. The piece, The History of the World 1997- 2004 fuses traditional brass music and acid house. 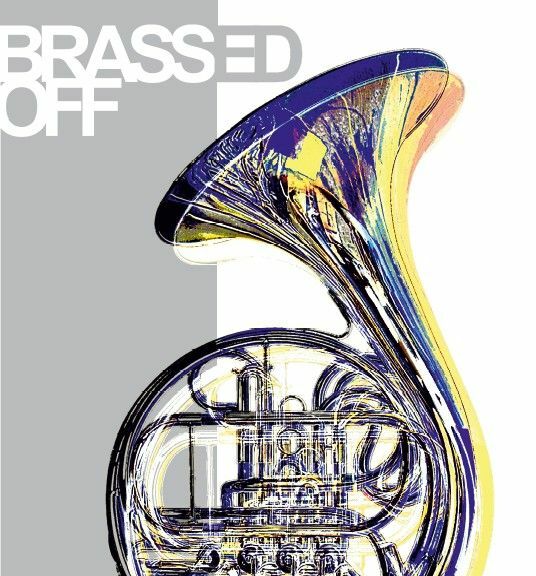 The work began in 1997 when Deller saw the connection between two seemingly disparate genres, acid house and brass band music. The exhibition celebrates and explores the varied and cultural significance of the regions brass band history, how it unites people within communities and celebrates their resilience and strengths.